Schedule: You will be asked to sign up for an appx. 2 hour time slot during which you will arrive. This will help avoid crowds, so that you can be sure to find a parking spot and have a more personal experience at the farm. If you would like to join a more intimate and interactive tour including an exclusive behind-the-scenes look at our goat milk soap workshop, please sign up for the "Farm and Soap Workshop Tour." We hope you'll help us spread the word about Fall Farm Day! Share one of the images below on social media and you'll receive a free gift ($5 value) at the event! Here's How: 1. Share image on Instagram or Facebook. 2. 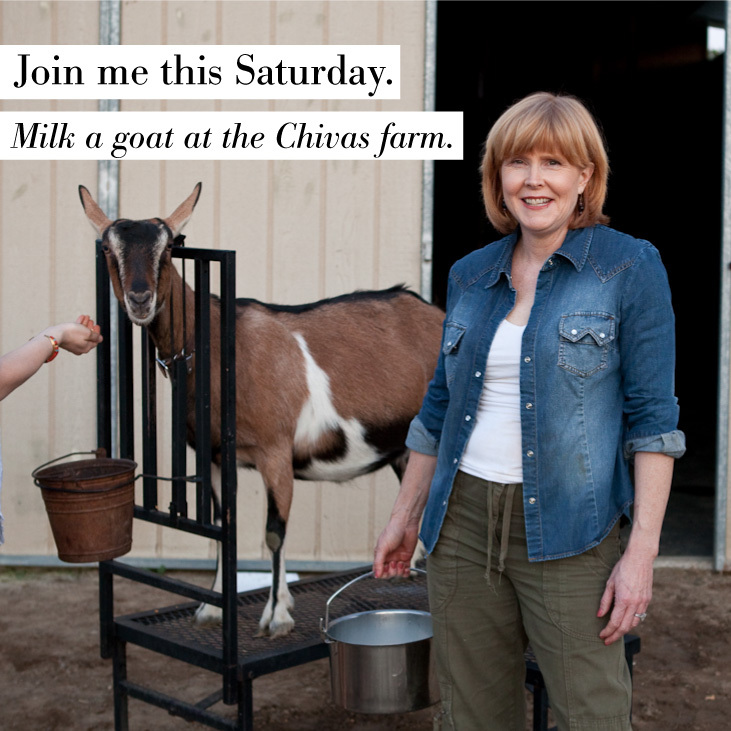 Mention @chivasskincare and Fall Farm Day (10/24) in the body of text (extra credit if you link to chivasskincare.com/farm-events). 3. Tag the image @chivasskincare. 4. Pick up your free gift, valued at $5, at the event (limit 1/person). Not Into Social Media? You can email/text this invitation (JPG).